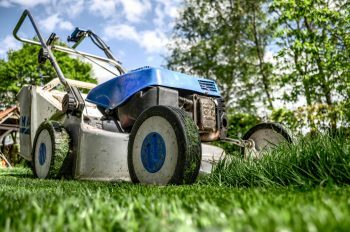 Lawn Maintenance for your home and yard is not just dragging the lawn mower out and trimming the yard. Maintaining a healthily lawn takes a combination of lawn mowing, watering, fertilization, lawn aeration, and seeding. Regular follow up will maintain your lawns green, lush grass. Keeping a routine maintenance plan by a reliable lawn care professional will save you time and money trying to keep you lawn looking pristine all year long. You need the professional services of the Grapevine Lawn Guys to keep you lawn and landscaping looking sharp. Customer service and top quality lawn service is out trademark. Read below to understand why we work hard to for your lawn. The soil beneath your lawn plays a big part of your lawn’s health. We can analyze your soil for nutrient deficiencies and pH imbalances. Grapevine Lawn Guys will determine the proper treatment to get your soil conditioned to maintain a healthy lawn all year long. Keeping your lawn properly hydrated and irrigated does provide the balance your lawn needs to thrive and grow. Too much water and you lawn becomes moldy and and promote fungal growth. Too little water and you lawn becomes dry and prone to invasive weeds. This is the perfect reason to have Grapevine Lawns Guys install a new smart sprinkler system for your home. Keep your lawn water when you are away or have your lawn water based on weather information downloaded directly from your phone. Grass cut just right protects and covers your soil from drying out, as well as allowing water to drain into your soils properly. When you grass is healthy, weeds are not as likely to invade your lawn. Healthy grass chokes out weeds and other invasive grasses. Keeping your grass trimmed will keep lawn pest away from find shelter in long bladed grass, such as mice, spiders and snakes. We start with evaluating your lawns condition, and only then we will make recommendations to maintain, improve or completely rework your lawn if needed. Part of our process is to not only inspect the property, but also ask questions to inquire what the customer wants to have on their landscape. Once a plan has been approved, Grapevine Lawn Guys will work to exceed your expectations, thus establishing a healthy lawn and earn your repeat business. Mowing the lawn on a regular schedule will have positive benefits. A nicely groomed lawn looks great, as well as can be noticed immediately. Mowing the lawn on a regular basis helps keep the grass short, neat and even. The other benefits of mowing the lawn on a regular basis are just as important. Mowing the lawn helps keep your lawn healthy and eliminate some of the pests from the grass at the same time. During the your lawn’s dormant season we will follow up with applying fertilizer and weed pre emergent up to four times a year. This process allows for your grass to recover from extreme heat and cold while dormant. 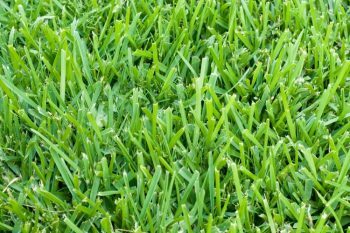 There are many factors to determine what can affect your lawn and keep your grass from maintaining it vibrant green color. There are steps that Grapevine Lawn Guys can take to keep soil conditions optimum. Thatch Removal – Thatch is layer dead grass, leaves and debris that has settled between the soil and your grass. This thatch accumulates and block out water and nutrients from absorbing into the soil. Fertilizing – Applying fertilizer up to four time annually will keep your soil well fed and provide nutrients for your lawn through stressed weather conditions. The professional services that Grapevine Lawn Guys provide will be focused with the customer in mind. Great lawn service is not just lawn mowing and cleaning up grass clippings. We demand great service and workmanship from all of our Lawn Care Profession.